Chinese food is delicious and extremely varied, but in the morning when you’re looking for breakfast food to eat, there are just a handful of staple foods you can’t miss out on. Here’s our top five favorite breakfast foods to eat while teaching English in China. One of the fastest breakfast foods you can buy on the street is a steamed bread that stuffed with a wide variety of fillings. It is not only warm and filling, but it’s cheap, fast, portable and healthy which makes it the perfect breakfast food to grab on your way to work. You will find people selling baozi from small shops and can recognize what’s being sold instantly from the multiple silver stacked steamers that are steaming up a fresh batch of deliciousness. Zhou, a vegetable or rice porridge, is another favorite breakfast food in China and is as comforting as a bowl of chicken noodle soup. A small bowl of zhou can be very filling and if you don’t have time to sit in a breakfast shop and eat your zhou, you can often find zhou being sold from carts near busy areas such as subway stations. 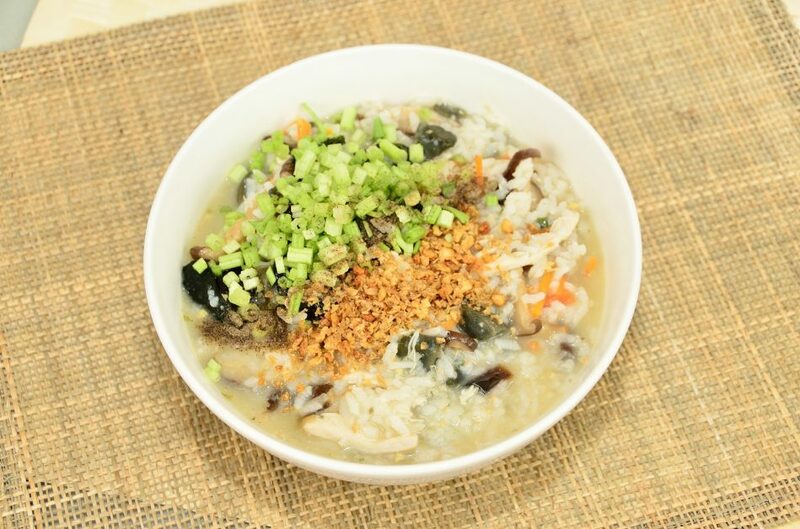 Some popular flavors are ba bao zhou (8 treasure congee) and hei mi zhou (black rice congee), but there are many more to enjoy! If you’re feeling under the weather, many Chinese people will advise you eat a bowl of zhou. Tea eggs are an easy way to make sure you’re getting protein in the morning. These hard-boiled eggs have their shells cracked and then are covered in tea and simmered over low heat which gives the egg a delicious flavor. This is a large folded egg pancake with a variety of thinly cut vegetables inside as well as a deep-fried crispy dough slice. It’s a meal on it’s own and every jianbing vendor makes their jianbing taste slightly different than anyone else’s. You’ll just have to try them all to find the vendor you prefer! A relative of the jianbing, jidan guanbing is a smaller egg pancake that is folded in half like a taco and a piece of lettuce is added inside as well as special sauce and other toppings you may desire. It’s a bit oily, but absolutely delicious.